There is no guarantee that college fees won’t be higher than they are now. Market economies always change. There are now schemes, institutional or state-based, that help parents set aside savings that appreciate in value. This means that they do not suffer from volatile economies in the future. Sometimes, later in life, parents may have lost their jobs, whereby the kitty that was prepared years behind times can save the day. Finally, there are now nationwide and international institutions that accept this scheme. They can even take other beneficiaries when the original one, for one reason or another, is not ready. 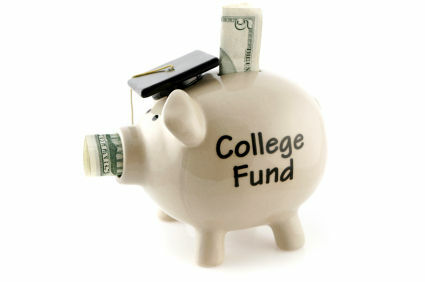 What are some of the pre-education saving schemes available today? These are programs that enable parents who are fervent to oversee the attainment of college dreams for their unborn children, 16 years hence or so, happen early enough. There are programs that demand just ten percent of the fees for an entire year. This means that by the time the child makes it to the freshman year, he or she will have a whole semester, already paid for. The schemes also protect the economical side of things. If the institution towards which the savings go raises its fees, the parent will not have to cough up more. This is because the program allows the money to grow in value and attain the same figure as the fees of the future date will have reached, literary speaking. There are also savings programs in the United States that allow willing parents and guardians to pay their children’s entire fees, years before they make it to the institutions. This process starts right from the embryo stage. Every time one gets a little money or a bonus, he or she sends it to the monetary kitty to guarantee the future education of the tender learner. This program is also secure of economical ripples because it also gains interest. Even if the universities concerned hike their fees later on, one will no longer have to turn back to their pockets for the interest will cover up the deficit. Another reason to begin spending during the embryo stage is that one can just contribute to a government body. When the child comes of age, he or she is not under any restriction to join a particular institution. If they prefer to go national or international, the federal government and education bodies in their state will facilitate this out of their contributions. The above shows that it was high time couples began making headway for their children’s learning, years before they join college. Indeed, one should always seize any opportunity that comes to be. This can include special celebrations like home parties where contributions should go, as a matter of fact, to the safe for savings. If one gets a surprising allowance including a levy break or even the older member of the couple gets a pension, some of it should feature in the pre-college kitty. In a word, it is never extremely early to plan for the future education of the unborn son or daughter. Parents have learned the hard way that waiting until mortgage prices hike to cater for their 16 year olds to go to college has never turned out well. They should put this stress away as early as when the child is still an embryo. I think because one can not put money in tax deffered or claim any other advantage for unborn kids, the principle is still the same – save as much as you can when there is an opportunity. The unfortunate thing of the situation that in spite of the recession college fees did not come down. Jessica, my kids are the same age! I didn’t start saving for the older child until I was already pregnant with the younger one. Our monthly contribution to their 529 accounts is modest, but at least it’s something. I was very lucky that my parents helped me navigate the world of student loans and FAFSA. I graduated with debt, but at least it was managable debt. That’s the key – manageable debt, not debt that cripples you for the decade after you leave school.